MCR for carbon-carbon and carbon-heteroatom coupling reactions. MCR for cycloadditions, and other related reactions. MCR as promising tool for the synthesis of bioactive heterocycles: Pyrazole.MCR as promising tool for the synthesis of bioactive heterocycles: Imidazole. MCR as promising tool for the synthesis of bioactive heterocycles: Isoxazole. 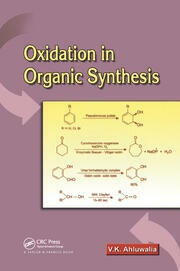 MCR as promising tool for the synthesis of bioactive heterocycles: Oxazole. MCR as promising tool for the synthesis of bioactive heterocycles: Thiazole. MCR as promising tool for the synthesis of bioactive heterocycles: Isothiazole. MCR as promising tool for the synthesis of bioactive heterocycles: Benzimidazole. MCR as promising tool for the synthesis of bioactive heterocycles: Sulfathiazole. 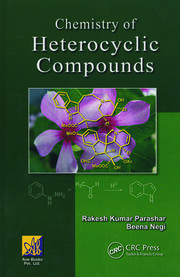 Dr. K. L. Ameta received his doctorate in organic chemistry from M. L. Sukhadia University, Udaipur, India, in 2002. Presently, he is working as an associate professor of chemistry, Department of Chemistry, College of Arts, Science and Humanities, Mody University of Science and Technology, Lakshmangarh, Rajasthan, India. He has vast experience in teaching both graduate- and postgraduate-level students. His research area involves synthesis, characterization, and biological evaluation of differently sized bioactive heterocyclic systems. 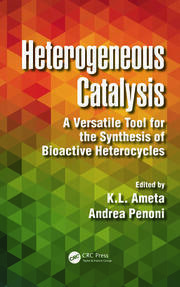 In addition to this, he has keen interest in heterogeneous catalyzed organic synthesis and photocatalysis. He has published about 50 research articles in journals of national and international repute. Dr. Anshu Dandia is a professor and head of the Department of Chemistry, University of Rajasthan, Jaipur, India. Also, she is the coordinator of the University Grants Commission–Special Assistance Programme (UGC-SAP) program at the University of Rajasthan and vice president of the Indian Chemical Society, Kolkata. 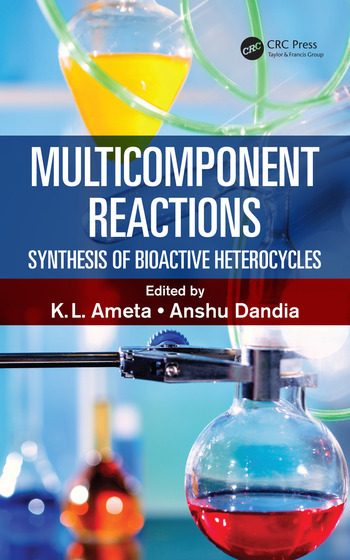 Prof. Dandia has published over 170 research papers in the field of synthetic organic chemistry in journals of international repute. Her fields of research interest are green and nanotechnology in organic synthesis; heterocyclic, medicinal chemistry; and organo-fluorine chemistry. Her awards include the Science Legend Award from the World Science Congress Association in 2015; Fellow of the Royal Society of Chemistry (FRSC), London, in 2012; the bronze medal awarded by the Chemical Research Society of India in 2012; International Distinguished Woman Scientist Award at the international conference, "Chemistry for Mankind," organized by the joint venture of American Chemical Society (ACS), Royal Society of Chemistry (RSC), and Indian Society of Chemists and Biologists (ISCB) at Nagpur in 2011; and the top researcher award from the vice chancellor, University of Rajasthan, based on highest H-index in a survey done by DST New Delhi in 2009. Apart from this, she is a dedicated teacher and strives to keep abreast of new developments in teaching methodologies. She received the Best Chemistry Teacher Award in India from Tata Chemicals Ltd., Confederation of Indian Industries, and the Association of Chemistry Teachers in 2012.